Is your home experiencing a problem with the plumbing system? It doesn’t matter if it is a leak, a clogged drain or a broken hot water heater, it is important to have the issue fixed as quickly and efficiently as possible. If you are experiencing those problems in the Ashland, Massachusetts area, our professional service will be there for you to get your life back up and running again. There are many different plumbing issues that can occur but, regardless of the issue, you can count on us to take care of it professionally. The following are some of the basic services we offer. Keep in mind, however, we offer all plumbing services, so you can count on us to get the job done. Water heaters – One of the most common plumbing problems that many homes experience is an issue with the hot water heater. Regardless of whether you are ready for an upgrade or if you’re heater is no longer operating, we can get the job done for you. Water filtration – Having a clean source of water is imperative for your health. We offer a number of options for water filtration systems that can clean your water efficiently. Drain cleaning – If your sink, shower or toilet is draining slowly or is not draining at all, we can come to your home and clear the issue to get things flowing again. Sewer Line Replacement – Sometimes it is necessary to replace the sewer line inside or outside of the home. Our professionals can get the job done quickly and efficiently to reduce the effect on your lifestyle. Disposals – We rely on our garbage disposals on a daily basis. If you want an upgrade or if you need yours repaired/replaced, our service can do it professionally. Sump pumps – Having an efficient sump pump is imperative to avoid flooding and other issues. These are just a few of the options we offer. 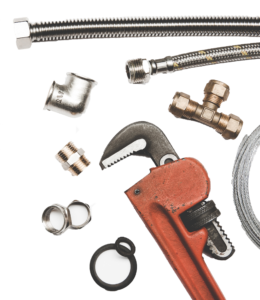 As a full-service company, we can handle any plumbing issue, regardless of whether it is basic or complex. There is another reason why you should trust our service, however, and that is because of our reputation in the Ashland, Massachusetts area. Hiring a plumber can be difficult because they are going to be working inside of your home. You want to have someone that you can trust; someone who will give a professional appearance and will treat you with respect. As a local plumber, we recognize the need to care for people and to respect their property. You will recognize that factor from the moment that you contact us and we will continue to make you comfortable as we get the job done. Having plumbing problems is more than just an inconvenience, it can be devastating. When you have a plumber you can trust and that is reliable to get the job done, it takes a lot of the pressure off of you as the homeowner. Contact us if you have any plumbing need and rest assured, we will care for that need professionally.